I’m sitting in a café in an upscale part of Sao Paulo, Brazil, a short walk from the Renaissance Hotel, watching the news come in about the impeachment of Brazil’s president Dilma Rousseff. And I believe the reason I’m in this café is the same as the reason for Rousseff being impeached: a totally backwards, bureaucratic, inefficient government and financial sector. This is my first time to Brazil; Simon Black sent me here earlier this week to conduct deeper due diligence on a private company that we are considering investing in. The business is EXTREMEY promising and growing rapidly, which is really a tremendous accomplishment in this country. Right now, Brazil is in its worst recession in 80 years. That means a lot in a country that has had horrific hyperinflation and burned through at least half a dozen currencies. There’s a lot of noise right now about corruption and nepotism (hence the impeachment of Dilma Rousseff). But the real problem here is the bureaucracy. Brazil is legendary for it. When I speak to the business people here, they claim that taxes are their biggest headache. Not the amount of taxes that they owe– the number of taxes. There can be dozens of taxes that productive citizens have to pay, and that can cripple a small business. 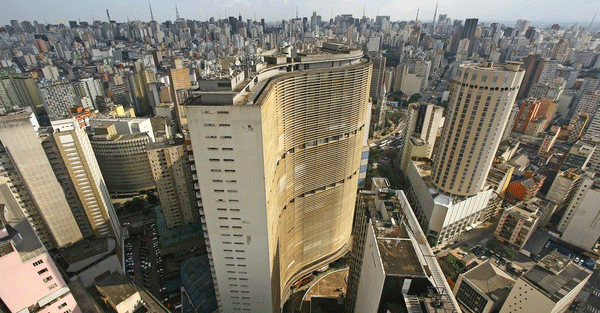 Brazil’s infamous bureaucracy is difficult for foreigners to deal with as well. Which brings me to why I’m at a coffee shop near the Renaissance Hotel. I left my hotel this morning in search of an ATM. As luck would have it, there was an HSBC branch nearby. That ended my string of good luck for the day. The international ATM connection was down, so I couldn’t withdraw any cash. So I locked my bag in the lockers provided (it’s not permitted to bring bags into the bank) and went inside to exchange money. But no. Apparently this bank doesn’t have a license to change money. They recommended that I change money at a hotel. OK great. I was going to a hotel anyways, so I told my taxi to take me to the nearest one. But the hotel only had a limited license to exchange money for its guests, and I wasn’t a guest of that particular hotel. So to exchange money, I’d have to go to another hotel which had a license to exchange currency for foreigners. So my miserable Odyssey continued with a 20-minute cab ride to the Renaissance Hotel, the nearest option, and I used the last of my local currency to pay the driver. Downstairs at the Renaissance, sure enough, was the exchange booth. I presented my passport and a US $100 bill and was given the rate of 2.86 Brazilian real per dollar. Whoa. Wait a minute. The spot rate was 3.44 Brazilian real per dollar. So the money exchange booth was charging me 17%! It was unbelievable. It seems that as there are so few places to exchange money that the handful of businesses who are licensed have an effective oligopoly on the market. With the competition eliminated, their license to exchange money has become a license to screw people. On top of that, the process took forever. I was given a receipt with 58 lines and two signatures that was more than a foot long (no exaggeration). It’s obvious that with so much paperwork there’s clearly a mountain of bureaucracy holding down the system. I’ve spent years of my life in developing countries in Southeast Asia where people can’t wait to exchange their money for foreign currency. In Myanmar, for example, dollars can be exchanged freely anywhere within 1% of the spot rate. And even though they didn’t even have ATMs until a few years ago in Myanmar, today you can withdraw money in downtown Yangon from a bank located on the other side of the planet. There’s a long standing joke in the international investment community that Brazil is the country with the most potential– and always will be. In other words, no one expects that Brazil will ever get its stuff together and start realizing its potential. A lot of people think that changing Presidents is going to solve the problem. It rarely does… not just in Brazil, but anywhere in the world. Governments create rules and regulations, not wealth and prosperity. What really moves the needle is technology, production, and savings… and the abilities of entrepreneurs to bring those resources together to solve problems. And that’s why I’m here. The business we’re looking at provides a great platform for Brazilian companies to streamline and drastically cut out this costly bureaucracy. It’s an amazing solution to a huge problem, and the company’s growth rate is astonishing. That’s what entrepreneurship is all about– solving big problems. Problems are opportunities in disguise… and Brazil has plenty of both.